There are several species of crinums scattered round the tropical regions of the world, and all have a bulb. 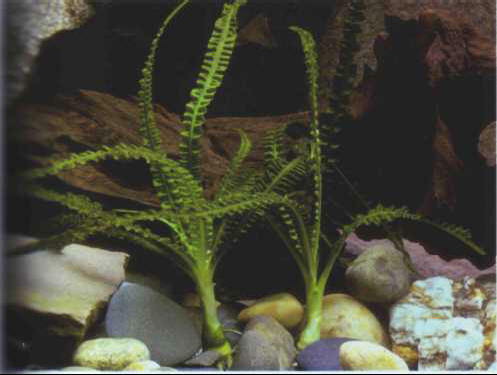 Only one of these, native to West Africa, is available to the aquarium trade. The aquatic crinum is hardy and can reach a height of 1 m when its growth is enhanced by intense lighting and hard, alkaline water. Size: 50 cm.